Understanding The Role Of A Clairvoyant. A clairvoyant is that kind of a psychic who possesses the psychic power of ‘clairvoyance’ or simply put, ‘clear viewing’. Thus, an individual who is a clairvoyant has the power to see objects, people or events which are otherwise not visible to the ordinary eyesight. Thus, a clairvoyant can see an object wrapped inside a box kept in one corner of another room without much effort, he may get visions of events from the past or occurrences that will happen in the future, what’s more, he can even envision friends, family and loved ones from thousands and thousands of miles away like my caretaker friend above. Simply put, it will be wrong to put down everything as cases of coincidence or good guesswork and one must recognize the fact that these are rare but very real clairvoyants who can actually ‘see’ things that other people cannot. There are also other psychic capabilities wherein the individual may ‘hear’ things or he or she may ‘feel’ things that remain hidden in the environment. These are different from being clairvoyant in which refers to only the ‘seeing’ aspect of it. A person who can hear things is known as a clairaudience while someone who can feel hidden things in the environment is known as clairsentience. 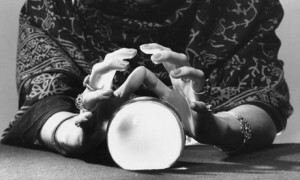 Again, a clairvoyant medium is different from normal clairvoyants. The mediums have the ability to act as bridges between the spirits and the living beings. Thus, clairvoyant mediums see visions of events that have led the spirit to its death. Usual clairvoyants, on the other hand, see things not visualized by human eyes which are not connected to souls of the dead and events of their lifetimes. There are ways by which one can find out if he or she is a clairvoyant or not or how much the level of power they possess as a clairvoyant. Certain online psychic tests will help to find out the above facts. Moreover, various researching institutes are present in this world that undertakes such tests and helps to find out the degree to which a person is a clairvoyant. One common method of finding out whether you’re clairvoyant or not and the degree or level of your psychic abilities is by undergoing the Zener card test. In this test, the individual is asked to pick cards from a deck and then predict the symbol on the cards with the help of one’s clairvoyance abilities. Thus, the psychic is asked to actually ‘see’ the symbols on the cards which are kept hidden from him. When the entire deck is depleted, the results show whether the individual has no ability, somewhat ability, high ability or extremely high ability in clairvoyance. The power of the subconscious part of the human brain is incomprehensible and to increase your abilities as a clairvoyant, you need to cultivate your special powers and gain a degree of control over them. This can be achieved by meditation which will lead you to increased control over y our mind. Moreover, practicing visualizing and concentrating on something at the back of your head will help you to focus on objects that are directly not in front of your eyes. Things to Look for in a Quality Fortune Teller.